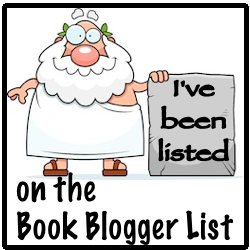 Welcome to the Holiday Book Tour: a collection of books and blogs from international authors with that 'certified must-read' for your holiday. Paul Anthony invites you all to jump on board his airplane and take off to the sunshine this year. Come fly with us. Clive Eaton is navigating and Scott Whitmore is at the controls. Pauline Barclay is head stewardess. Francis Laveaux is dispensing your favourite holiday tipple and Zoe Saadia, Laura Johnson, and Seumas Gallacher, will be bringing you the very best from their 'Duty Free' trolley. Now hang on tight and watch Amy Metz run through the flight safety drill. We’re only joking, of course. Relax! Enjoy your holiday. You'll need your bucket and spade, a passport, and a couple of books. What? You've got everything except the books! Don't worry, we'll try and supply a few for you. 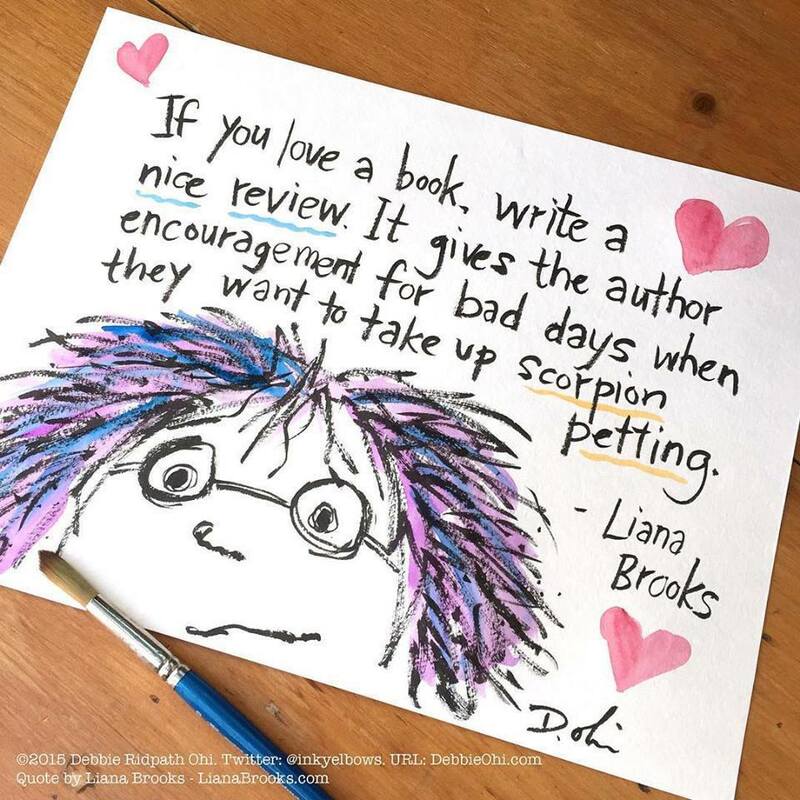 Well, authors need readers and readers need authors. 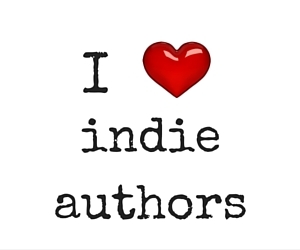 So, with that in mind, I'd like to introduce you to a bunch of authors who write in a wide variety of genres and have gathered together a collection of books for your holiday enjoyment. 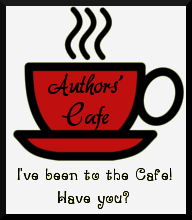 Each author has been asked a series of questions but each one has a different answer and a different selection of books on offer. You're invited to join us on our tour and spread the word about these wonderful holiday reads. 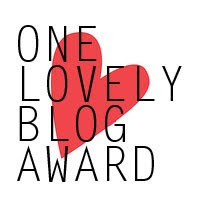 Those of us on twitter will be tweeting #holreads2013, but all we'd like you to do is read this post and then click on the names of the authors in the list below, visit their site, and compare their answers with the rest. Why don't we crack on and make a start with Amy Metz. Q. In which part of the world do you live at the moment? A. I live in Louisville, Kentucky USA. My house backs up to woods, and I’m able to bird watch and chase deer out of my gardens. In addition to the deer, we've seen raccoons, flying squirrels, a coyote, turkey vultures, even a peacock, along with your average squirrels, chipmonks, and rabbits. We have all kinds of birds, but my favorite is the woodpecker. We have three kinds--pilated, redheaded, and I'm always trying to get the perfect picture of them. Q. Do you have any favourite parts of the world or any favourite holiday places? A. I love New England. One of my favorite places is The Colony Hotel in Kennebunkport, Maine. Sitting on the back veranda with a drink, a book, and a view of the ocean is heavenly. Then you can meander down the path to walk on the beach and look for heart rocks, take pictures, or watch the boats come and go. The picture at the top of this post was taken from the veranda behind the swimming pool area. It's a beautiful spot. Coincidentally, I was sitting on the veranda when I got the email from my publisher offering to publish Murder & Mayhem in Goose Pimple Junction. By the way--the key to getting really good rates at expensive hotels is to wait until the last minute to book a room! 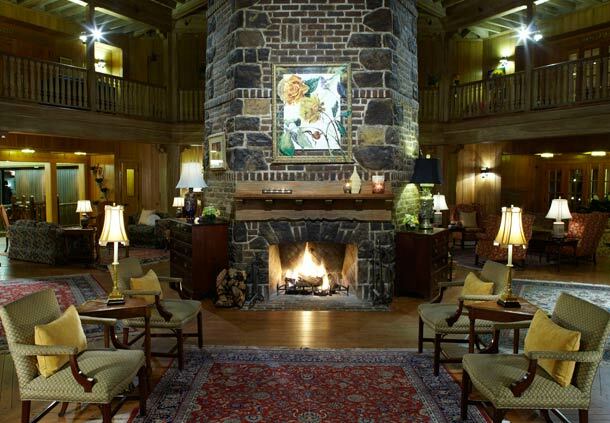 I also love The Inn at Biltmore in Asheville, North Carolina, it’s a gorgeous place, where you can just sit and relax, walk the grounds, or go into town. I wrote part of Murder & Mayhem in Goose Pimple Junction sitting in the library area of the hotel at a window table that looked out at the hills and beautiful grounds. Don't ask me why I took a picture of my laptop on the table. It was just such a beautiful spot, I didn't want to leave it. And The Grand Hotel in Point Clear, Alabama is another spot I love. It overlooks the Gulf and is actually the setting for the thriller I’ve started writing. 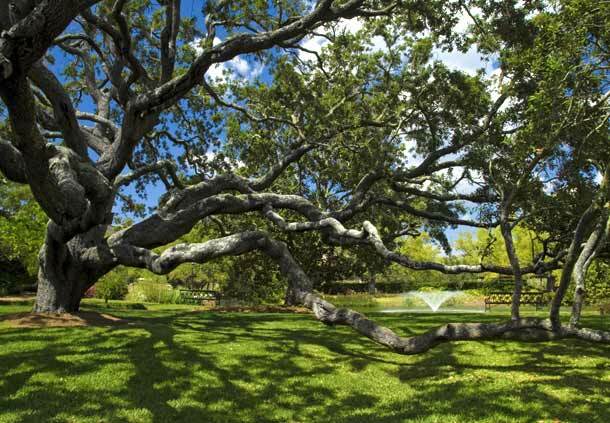 You can sit outside amongst huge Live Oak trees and landscaped grounds and look at the water, a sunset, or if you're lucky, a jubilee. 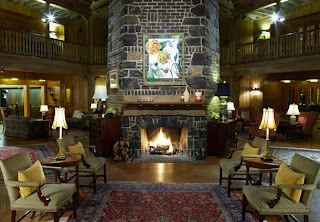 Or enjoy a book inside the beautifully furnished hotel. Every day at four o'clock they serve tea and cookies. Take them into the Birdcage Lounge where you can look out at the water. Q. What kind of holiday do you prefer? Cruises, walking, beach holiday, city breaks, villa, caravan, for example. Are you an explorer or do you just like to crash and relax? A. Can you tell I love the water? At least to look at. I love the ocean for a crash and relax holiday. But I also love seeing new places and exploring new cities. A little bit of both relaxing and exploring is good. As long as I have my camera or a book, I’m happy. Q. 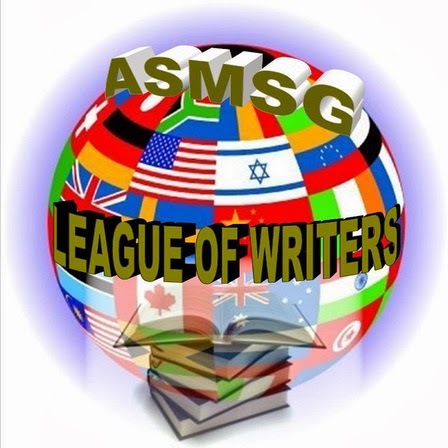 Do you feature international places in your books or are they a figment of your imagination designed to engage the reader? A. My Goose Pimple Junction series is definitely a figment of my imagination. It’s set in a fictional town in Tennessee. 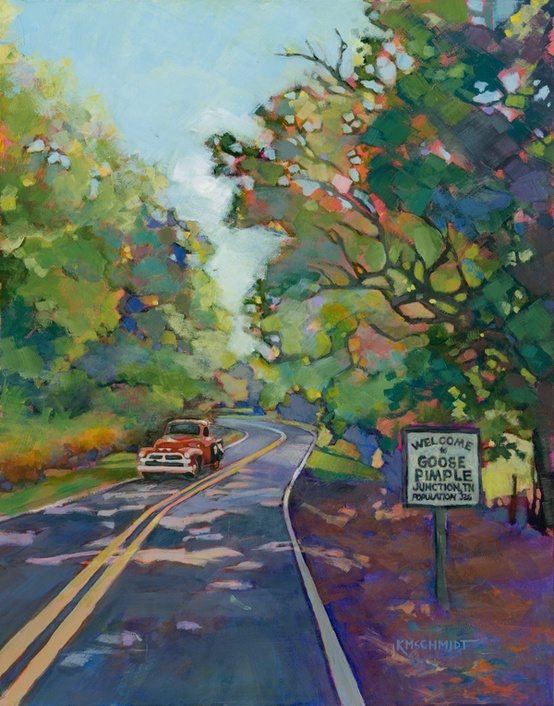 As I said, the thriller I’m writing takes place at a resort hotel in a small Alabama town. Nothing international though. I’m not that well traveled. Maybe some day. Q. 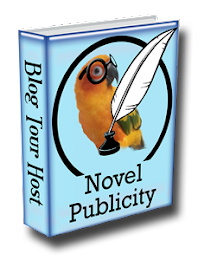 Do you write for the holiday-maker or do you write for a specific market? 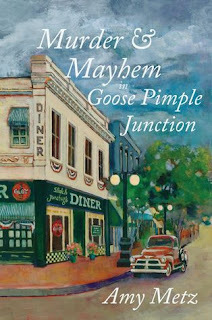 A. I’ve been told Murder & Mayhem in Goose Pimple Junction is a good beach read, but I think anyone who wants to escape reality and visit a quirky southern town would enjoy the book. I try to create a world in which the reader wants to be, so whether she/he’s on a holiday, on a bus, plane, train, or sitting at home, she/he’s escaped to a different place. That’s a holiday in itself, right? 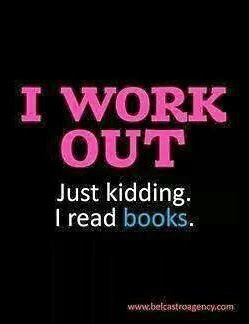 But I do think my novel is a light, fun read that would be good on a holiday. Q. Tell us about some of your books and why you think they will make good holiday reads. A. 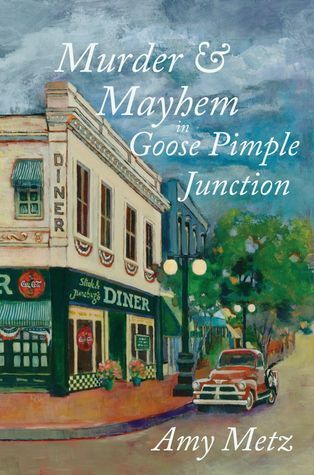 Murder & Mayhem in Goose Pimple Junction is a humorous southern mystery in which you will be on the edge of your seat one minute, laughing out loud the next, and guessing the whole way through. It is pure escapism, and I hope readers will get lost in the off-kilter town with the quirky, loveable residents. But bring your sense of humor with you. You have to have a sense of humor when you visit GPJ. And of course, a glass of sweet tea. The mystery revolves around a seventy-five-year-old murder that my main character, Tess, attempts to solve. She’s new to the southern town, and as she gets to know its quirky residents, she meets Jackson, with whom she fights her attraction because she’s sworn off men. But he’s persistent and also a mystery writer—who better to help her crack the case? Goose Pimple Junction is mostly a friendly, warm, charming town, and its residents tend to have a lot to say, and a unique way of saying it. But there are a few people who are as cold as an IRS agent’s heart, and that’s where the mayhem comes in. Q. And where can we learn more about this holiday read? Thanks for joining us on our holiday tour. Stay safe and enjoy yourselves wherever you are going. Might I suggest Goose Pimple Junction? 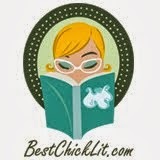 Now please follow these cracking hand-picked authors to see what they have to say about holidays and holiday reads. I can't wait to read the next book Amy! Thanks, Leti! I appreciate the vote of confidence.